It's not too late to register for ACLU CA's 2019 Conference & Lobby Day, April 7-8! Gov. 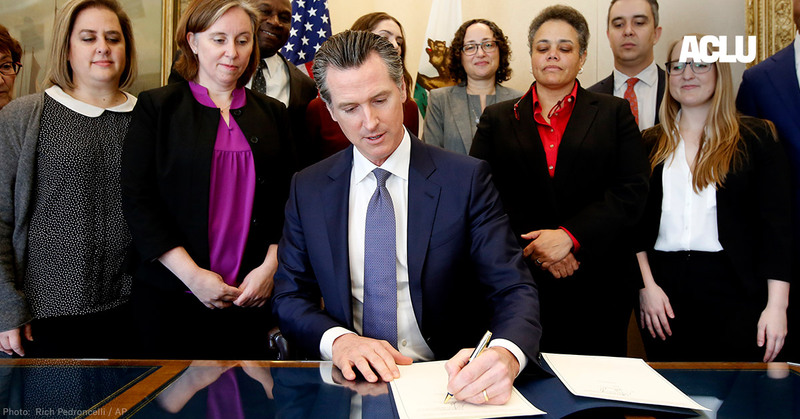 Gavin Newsom dealt a major blow to the nation’s already anemic death penalty on Wednesday when he announced a moratorium on the practice in California. With 737 death row prisoners, the state has by far the nation’s largest death row, dwarfing the next largest states, Florida with 353 and Texas with 232. The death penalty is a barbaric penalty that is riddled with error and bias, and other states should follow California’s lead in halting its use immediately. The impact of Gov. Newsom’s decision cannot be understated. 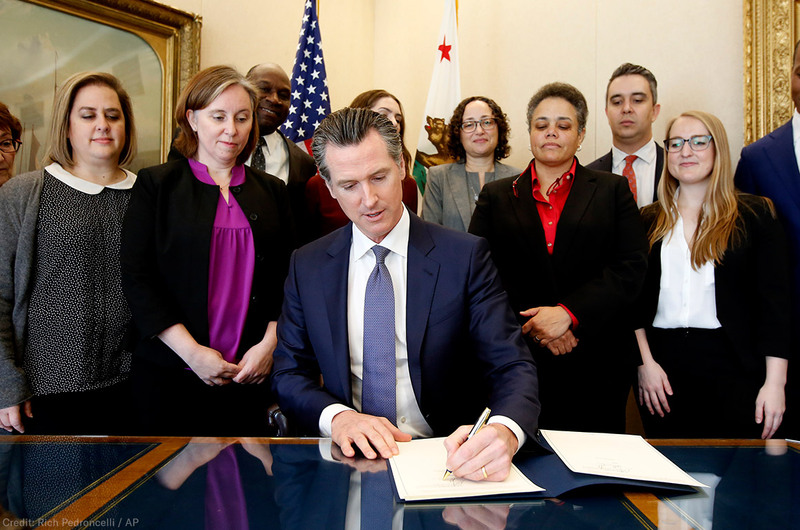 By suspending the death penalty in California, Newsom reduced the number of death row prisoners in the United States under threat of execution by over 25 percent. The death penalty in California, and everywhere it is practiced in America, is inseparable from the taint of racial discrimination. In fact, racial bias does not come at one stage of this process — it permeates the entire process. Prosecutors discriminate against jurors of color in jury selection, and the death penalty is used overwhelmingly in favor of white victims rather than victims of color. The death penalty in California also suffers from an innocence problem. Five former death row prisoners have been exonerated in California, and there are almost certainly other innocent prisoners who remain on the row while their appeals languish under California’s broken system. There is also a base problem of unfairness with the practice that is largely unseen by the public in the form of abysmal lawyering that all too often is behind death sentences. Twenty-five years ago, Steve Bright, a renowned civil rights lawyer from Atlanta, said the death penalty is reserved not for those who commit the worst crimes, but for those with the worst lawyers. Sadly his words ring as true today as they did then. While there are hundreds of qualified, hard-working death penalty attorneys, too many defendants face capital trials with the worst our profession has to offer. Gov. Newsom’s action has California taking the lead in halting executions on the nation’s largest death row. But it’s also worth pointing out that he is now part of an accelerating nationwide trend in the legislatures, courts, and governors that have weighed the death penalty’s fatal flaws and rejected it accordingly. The Washington State Supreme Court ended the death penalty in 2018, becoming the third high court to reject the death penalty under state constitutional grounds because of racial bias. Wyoming and Utah — both conservative states — have each come close to repealing the death penalty, based on concerns about costs and innocence. The New Hampshire House voted overwhelmingly for repeal this month, and the bill now moves to the New Hampshire Senate, where it has previously passed. And a large number of governors have now suspended the death penalty because of grave concerns with its fairness and applications, including the governors of Oregon, Pennsylvania, and Colorado. Ohio Gov. Mike DeWine just announced a moratorium because of the unconstitutional and excruciating pain inflicted under its lethal injection protocol. The death penalty represents the most egregious wrong our criminal punishment system can mete out — taking someone’s life. Gov. Newsom has struck a blow against this barbaric and flawed practice. Legislators, justices, and governors should take note. The U.S. Supreme Court should take note. The tide is turning against the death penalty, and now is the time to end this arbitrary, unfair, and discriminatory method of punishment nationally.